Learning to sew is a great way to save money. Making your own clothes is often less expensive than buying them off the rack. Knowing how to sew also means you can mend and repair damaged clothing, meaning your garments will last much longer, and you won’t have to go shopping for replacements as often. And have you seen how much a quilt can cost? Making your own can be much less expensive, as well as giving you an outlet for your creativity. However, sewing isn’t without its expenses. For example, the sewing patterns you’ll find in a craft shop or department store cost money. Compared to what you spend buying clothes, toys and bedding items retail, buying a sewing pattern isn’t usually all that expensive. But why pay for something that you could get for free? Using free sewing patterns is yet another way you can save money from your sewing passion. And here are a few ways you can find these free patterns. 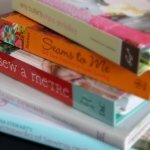 Other people you know who sew can be a great source of free sewing patterns. You’d be surprised how many people buy sewing patterns but never use them. Sometimes, a pattern that appealed to them in the store just doesn’t strike their fancy as much a few weeks or months later. Or maybe they just never got around to doing that particular sewing project. Or maybe they got the pattern home and realized it was a little more advanced than they thought it would be. Sometimes, all you have to do is let it be known that you wouldn’t mind taking a few of their unused sewing patterns off of their hands. And, figuring it’s better for the pattern they spent hard-earned money on to get used than to completely go to waste, they might be happy to give those unused patterns to you. By the way, don’t turn your nose up at used sewing patterns. As long as the pattern pieces are still intact and usable, you shouldn’t have any problems. And you don’t have to cut the pattern out yourself, which is a bonus. Why not consider doing a pattern swap? You can give a few of your used patterns to a fellow sewer in exchange for a few of theirs. 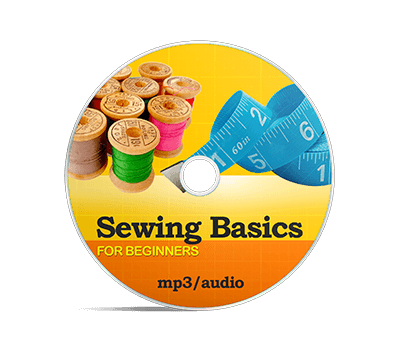 It’s not hard to find free sewing patterns online. 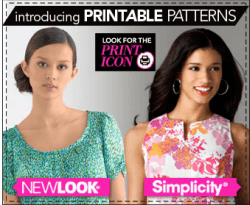 In fact, the trick is often finding good free sewing patterns online. Even then, the seemingly endless amount of choices can be almost overwhelming. To begin your search for a free sewing pattern, just go to your favorite search engine and type in the name of the project you want to do (be it a skirt, handbag, or stuffed toy), along with the words “sewing pattern” or “free sewing pattern” in quotes. Then just look over the options until you find a pattern that really jumps out at you. 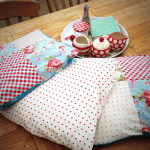 There are many sites, created by sewing enthusiasts just like you, where you can find large collections of free sewing patterns. 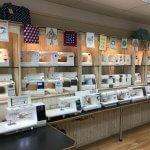 You can also check out the sites of some of the businesses in the sewing industry. For example, when it comes to sewing patterns, there are few names as well know as Simplicity, and you can find many free sewing patterns for various projects at their website. 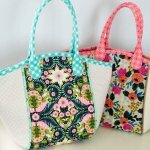 Another site you should check out is Sewing.org. 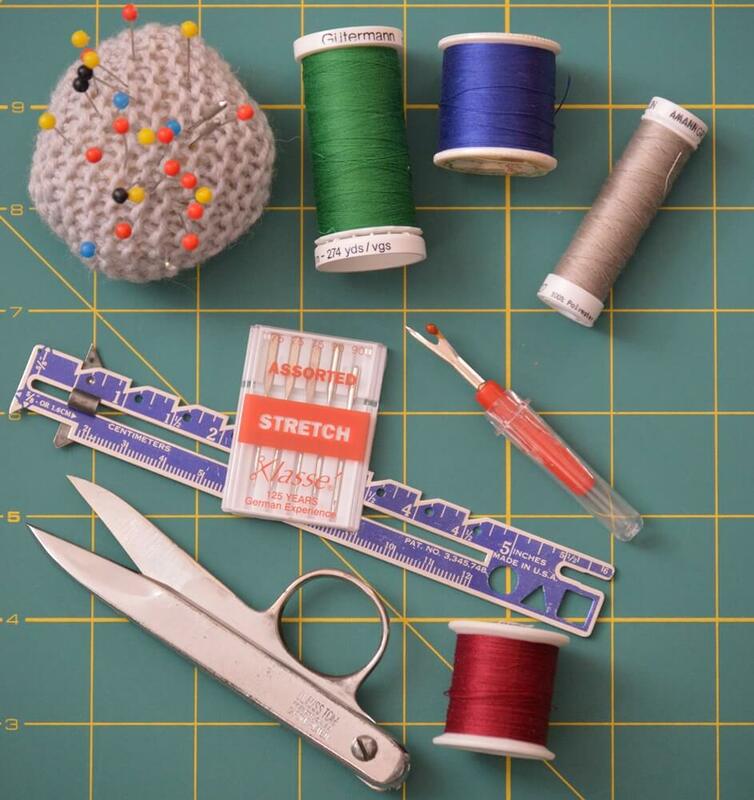 This site has a wide array of sewing projects, all neatly categorized to make it easy to find what you’re looking for. Even if you don’t have a specific project in mind, just looking around the side should give you plenty of inspiration. Why in the world would you want to make your own sewing patterns? Well, there could be a few reasons? For example, maybe a shirt you love was damaged and you can’t find another one no matter how hard you try. Or maybe someone you know bought a particular dress. You like the dress, but don’t necessarily want to pay that kind of money to buy one yourself. It’s possibly to create your own pattern using an existing garment as a template. You can even use this technique to duplicate a garment in a slightly larger size. Even if you don’t have a specific garment that you want to copy, knowing how to make your own sewing patterns can really come in handy. And it’s a lot easier than you might think. All you really need is sewing pattern paper, measuring tape, and some idea of what you want to create. Having a familiarity with sewing patterns and how they work also helps. Making your own sewing patterns might be a little advanced. But, once you learn to create your own patterns, you can really let your creativity cut loose. With free sewing patterns, you can take a pastime that already saves you money and save even more. Of course, there will be times when you want to make something specific, and buying a sewing pattern will be a must. But, in between those projects, you can keep your sewing machine busy by using the thousands of patterns you can get for free.